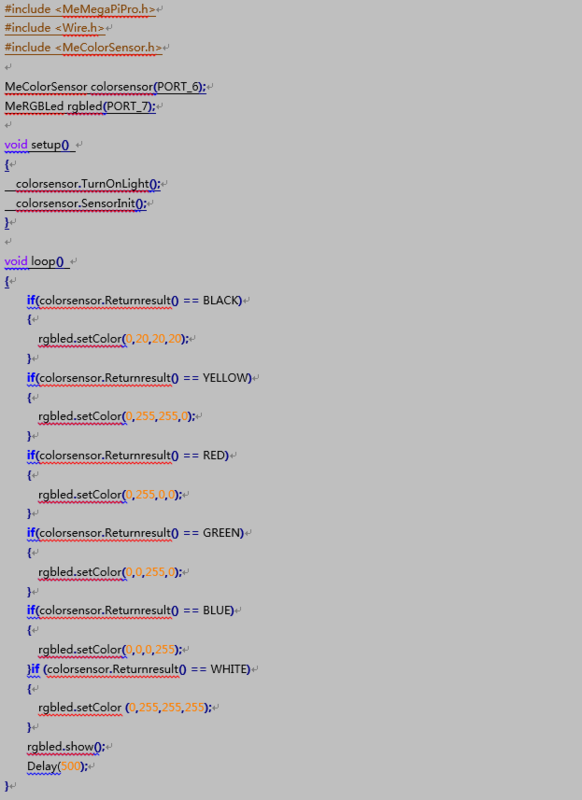 The Me Color Sensor is a color sensor capable of recognizing a total of six colors, including black, white, red, blue, yellow, and green. 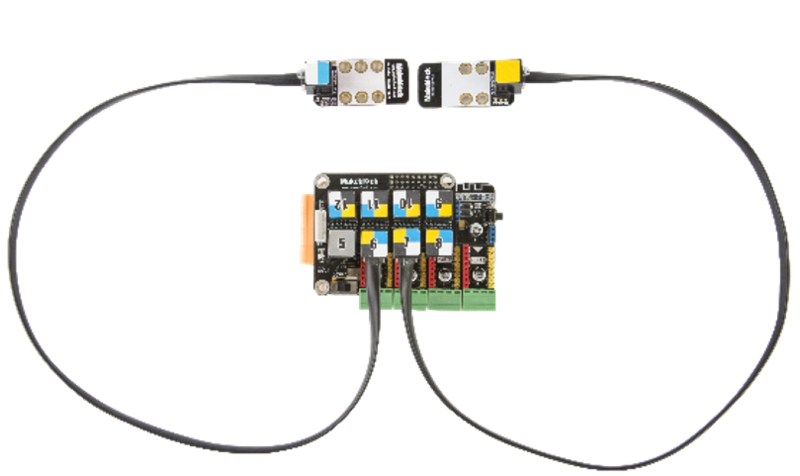 This module’s interface port is a standard blue-and-white, using I2C protocol for communication. It must be directly connected to a motherboard with a blue-and-white interface port. ● Offers modular installation, compatible with the Lego series. 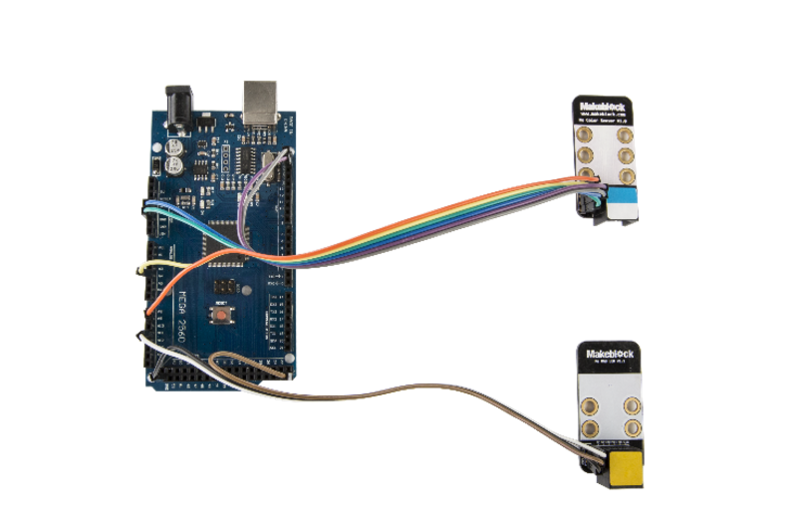 If you use Arduino programming, you will need to use the Makeblock-Library- master runtime library to control the color sensor module. 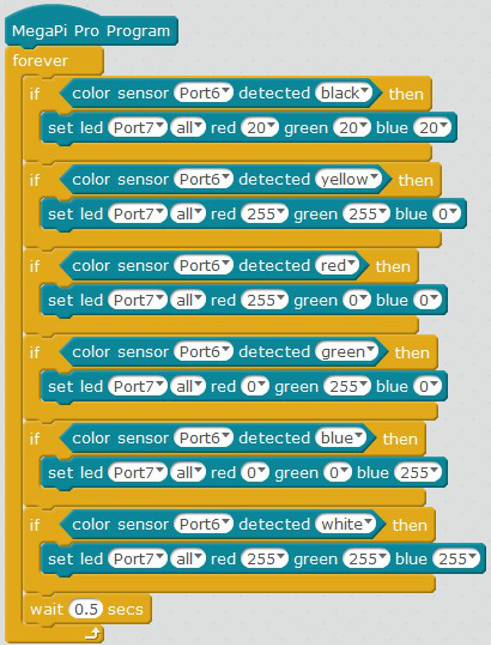 This program is written using Arduino; When using the color sensor to identify different colors, we can use the serial monitor to view the color data. The color sensor module contains an integrated BH1745NUC digital color sensor and uses time-division multiplexing to achieve multi-module parallel acquisition. 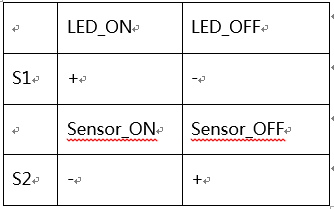 It has a single-module conversion time of 160 mS. To reduce the effect of the indicator light on sensor functionality, the indicator light turns off when the sensor is turned on. 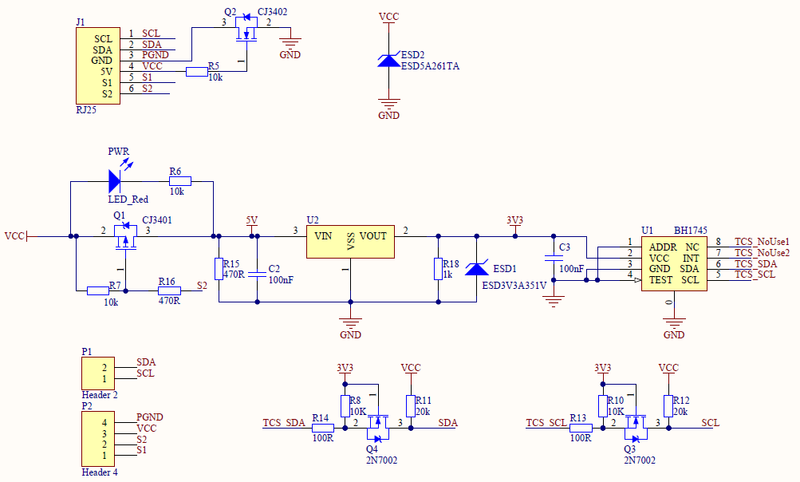 The I2C bus is used to read the conversion results.